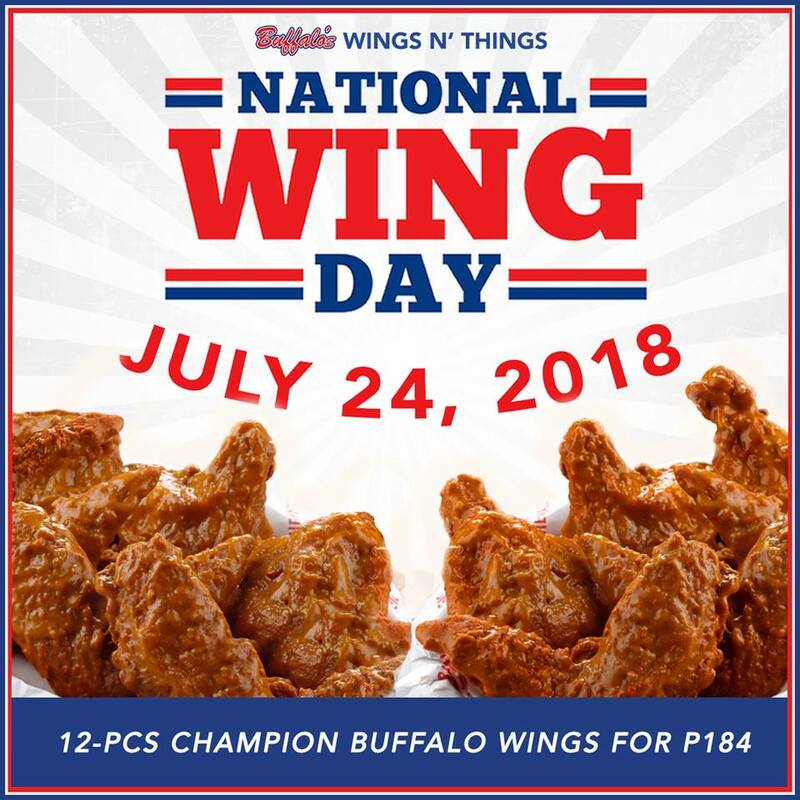 The National Wing Day Promo is back at Buffalo Wings N' Things! Celebrate National Wing Day on July 24, 2018 at your favorite BWNT branch, and enjoy 12 pcs. 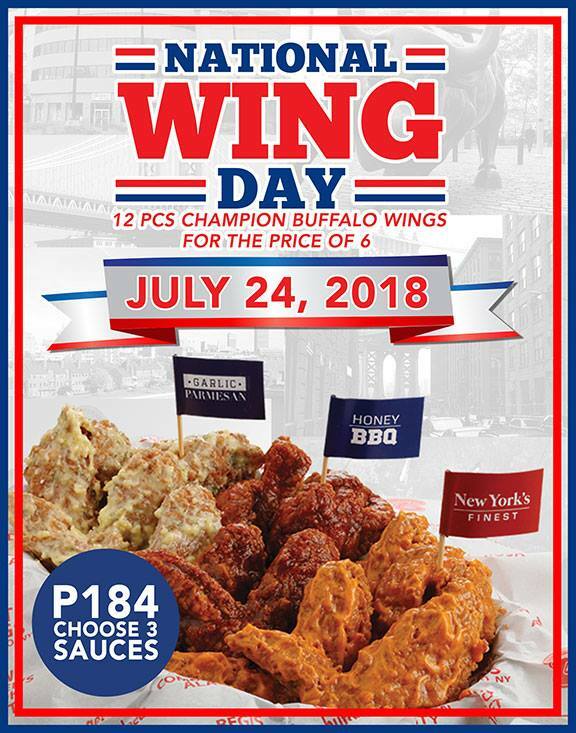 of Champion Buffalo Wings for the price of 6 (only P184)!